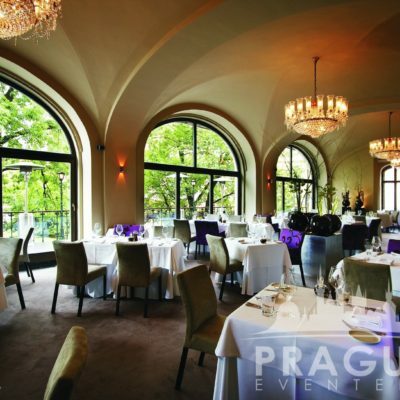 « Previous "Bastion Restaurant" | Next » "Villa Richter"
Bellevue is considered one of the finest Fine Dining Restaurant for Event Prague. 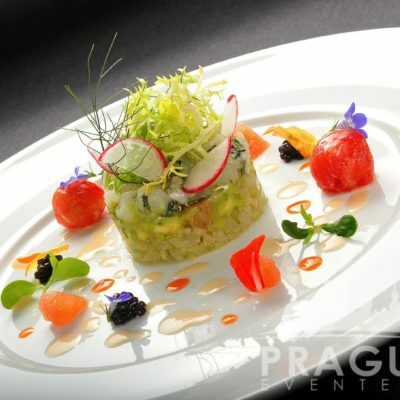 Due to this, Bellevue has earned the reputation as being on the forefront of Prague’s culinary emergence as Europe’s new gastronomic hotspot. 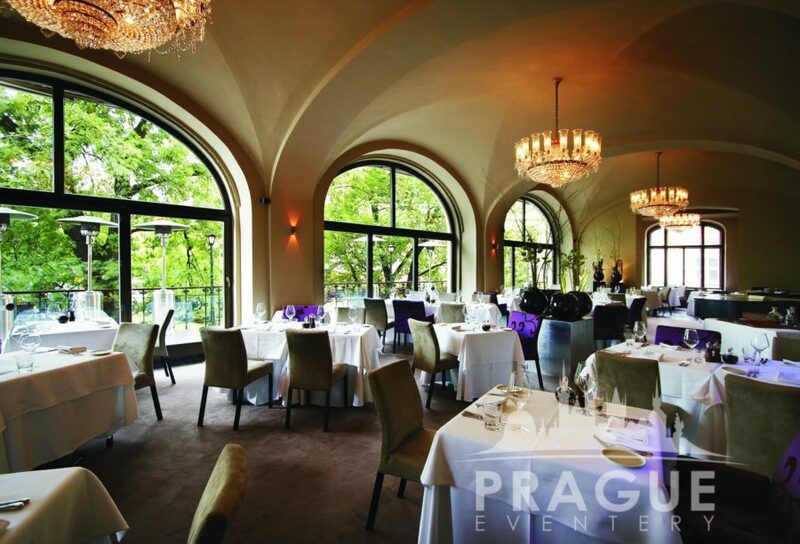 International press, critics, and locals alike, all highly rate Bellevue because of their many years of providing exceptional memories. 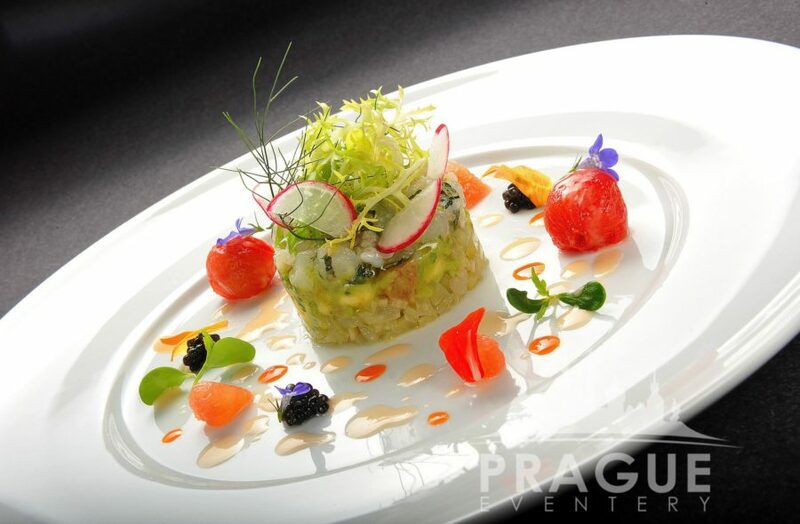 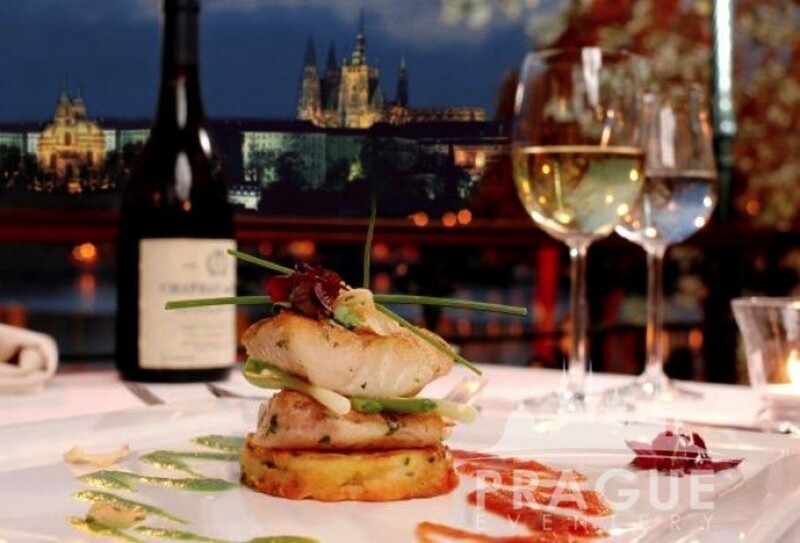 They present, and serve, exeptional Czech and international cuisine in deluxe, elegant surroundings coupled with amazing service. 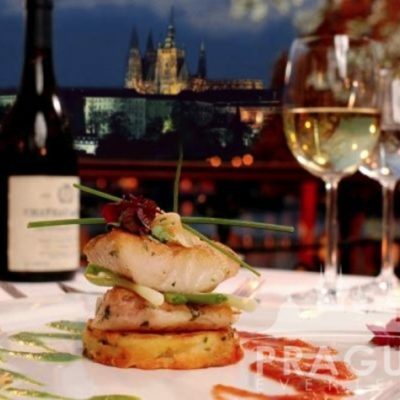 The restaurant is located on the waterfront. 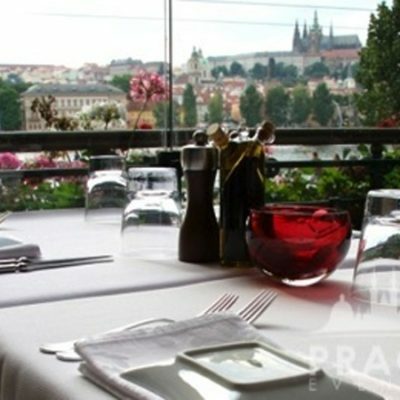 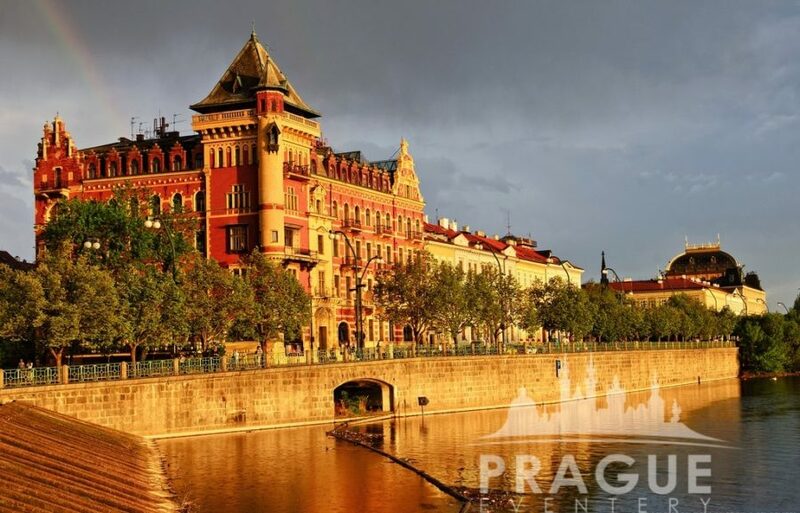 Therefore it offers absolutely beautiful views onto the Prague castle hill. 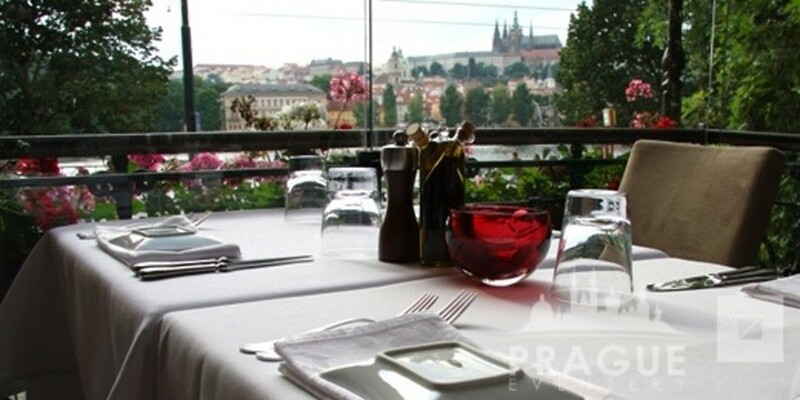 The small terrace also allows guests the freedom of outdoor fine dining. 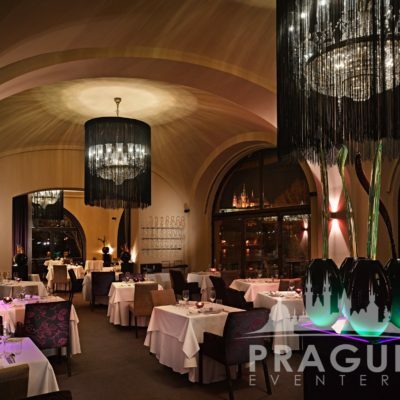 The entire interior of the restaurant has undergone a complete renovation, based on the styling of top Czech architects and designers. 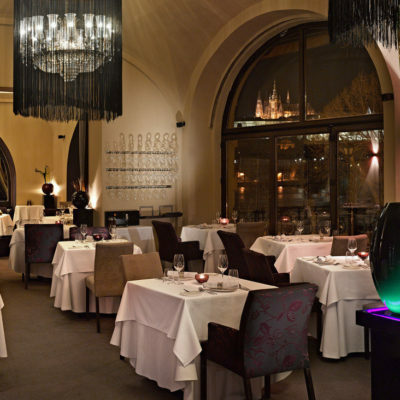 The result is a very elegant space which gives the restaurant its uber metropolis elegance, and dignified ambiance. 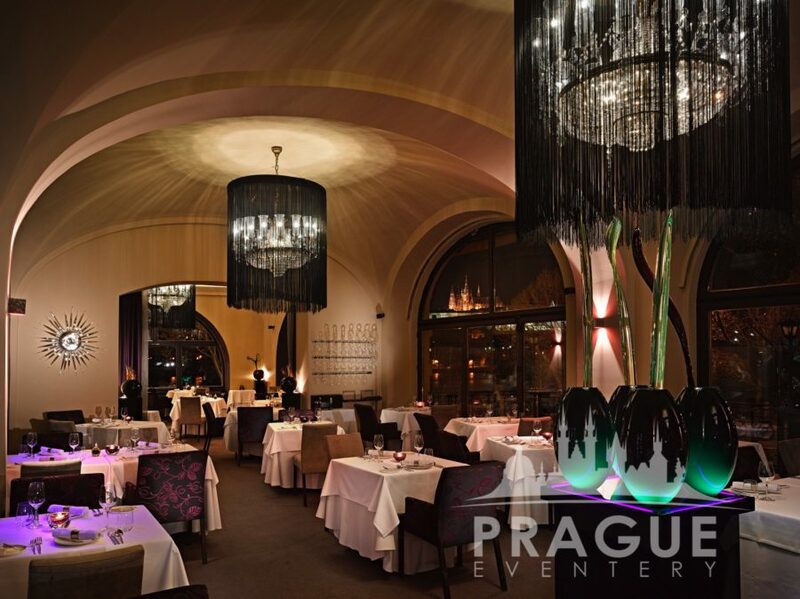 The space makes use of fresh cut flowers intertwined with a unique black cube chandelier, made of unique black and uranium glass by renowned glass artist Rony Plesl. 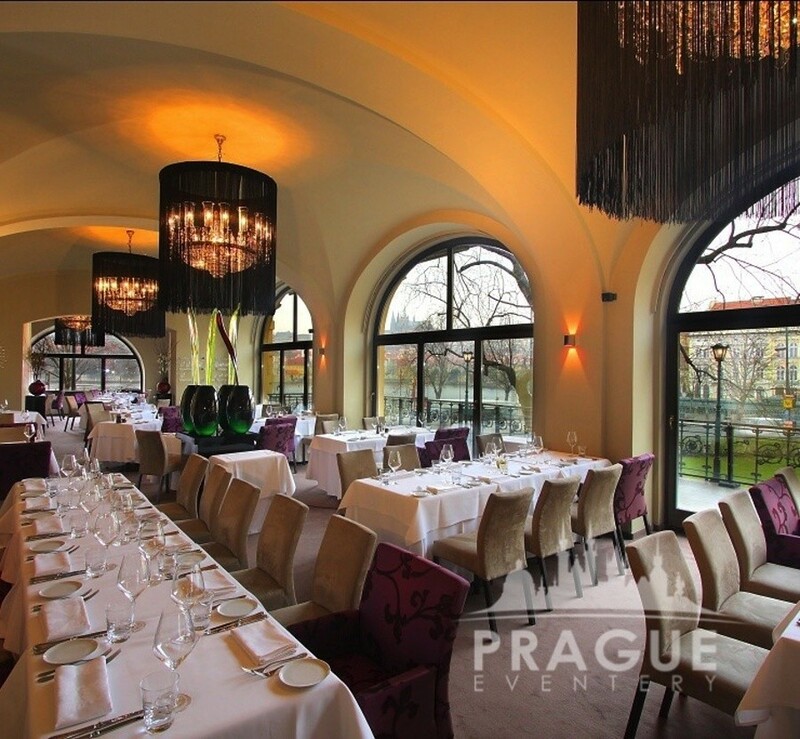 As a result, playful effects of light shine on the luxurious interiors and furnishings.